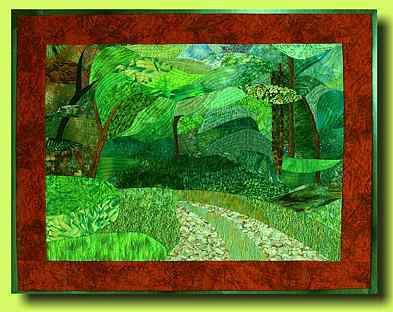 To my eyes quilts are textile landscapes - mountains and valleys in lively colors, enhanced by the magical effects of light. This is doubly true for landscape quilts. Quickly more quilts followed, first based on the designs of others, then on my own.I have learned many techniques from books and magazines and I have experimented on my own. 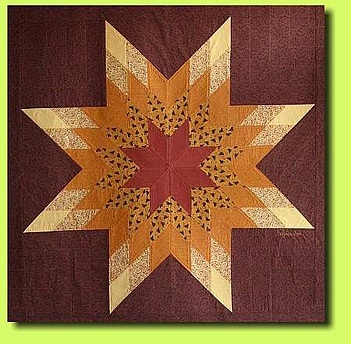 I also continue to take classes with well known quilt artists. I mostly design wall quilts based on my own photographs, but I also create traditional blocks and large-sized quilts. Over the course of time I specialized on paper piecing patterns. In addition I developed some useful tools and many tips. My professional background has come in handy in developing my own classes which I have enjoyed teaching since 2003.I am motivated by the thought that not all my accumulated knowledge and skills will one day pass away with me.Therefore I pass on as much information as possible to the participants of my workshops and I am always happy to help out and answer your questions. I live with husband and cat in a small town in Germany at the eastern edge of the Ruhr Area. I am a grandmother of three and that is why I know that quilts are very durable even when they are loved and washed a lot. I hope this will apply to me too.